If you’re looking for a high quality owner-operator electrician in Hasbrouck Heights, Ampacity Electric is the only business to contact. We proudly service your area and that includes Passaic, Bergen, Essex and the surrounding counties. Ampacity Electric is a leader in the industry when it comes to performance, expertise, customer service and efficiency. We’re specialists in electric panel upgrades, repairs, generator installations, electric vehicle charger (EVSE) installation, installation of lights, portable generator connections, service installations, and troubleshooting. We’ll fix all your electricity problems, wherever you live in Hasbrouck-Heights. Don’t think you’re saving money by doing everything as cheaply as possible, with no regard for your family’s safety. If you keep having seemingly “minor” power problems that you ignore, they’ll get worse and more expensive to fix. You can trust Ampacity Electric’s skilled technicians in Hasbrouck-Heights to take care of all your power problems. Be a smart cookie and plan ahead for such problems. Call us on (201-406-2855) so we can quickly install a portable generator connection in your house so you don’t miss your favorite TV shows or hurt yourself walking around in the dark (among other things). 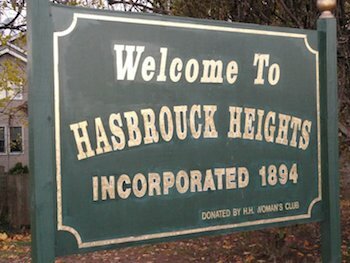 Each client in Hasbrouck-Heights is unique, so we tailor the best possible solutions for all electricity issues, taking into consideration your time and money constraints. We appreciate that safety is your highest priority as it is ours. 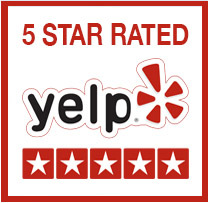 This means we’ll treat your home with the utmost respect it deserves. When you engage Ampacity Electric’s services, you’ll receive the highest quality workmanship and problem-solving solutions, backed by a lifetime warranty on labor costs. We’ll leave your home as tidy and clean as it was when we arrived. Support your local Hasbrouck Heights tradesmen and let us handle all your electricity problems, now and into the future. Are you a trained, licensed electrician? If not, you must NEVER touch any electrical wires. It’s hazardous in many ways and, if you do it, you’re also breaking US laws…so you could shock yourself and then end up in jail for doing so. That’s a lose-lose scenario. If you need to update wires or do new installations, don’t be silly and risk doing it yourself. Call Ampacity Electric on 201-406-2855 and ask us to sort out your electricity problems. We’ll ensure your wiring is safe and meets all safety standards so you can sit back, relax and enjoy peace of mind. Buying the correct devices and wiring for all things electrical is a serious matter. Bad quality wires can damage appliances and can cause problems in the electric system. Compared to 30 years ago, our society is much more reliant on devices and technology to enhance our lives in many ways. If your wiring is undersized, it may cause unacceptable voltage fluctuations and distortions to the power that can reduce the performance of your electric equipment. Ampacity Electric is your one-stop shop for everything to do with power. Put your trust in us that we’ll fix all electric problems, whether they’re small or big. Fixing small ones may prevent bigger disasters from occurring. As a homeowner, it’s natural to get insurance policies to cover your home, contents, health, car, funeral costs and so on. You want your home to be safe and policies help avoid major issues down the track, particularly those that can’t be avoided. You want your family’s life to be safe and secure so you also need to look at electricity and how to guard against all possible problems. You can’t plan for everything. Disasters may happen or Mother Nature might decide to throw a massive temper tantrum and it’s innocent people who suffer the consequences of her tantrums. The good news is that you have a way to manage one big problem. Call our experts at Ampacity Electric to discuss installing a portable generator connector to directly tie into your home’s electricity system. Then if you lose power, at least you’ll have a backup so you don’t have to suffer during blackouts and the problems they can potentially cause. 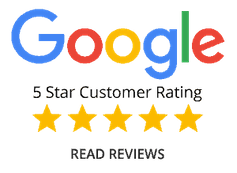 You’ll no doubt have observed some of our highly skilled technicians driving around your local area while we carry out work for your family, friends and neighbors who appreciate the advantages offered by this package. 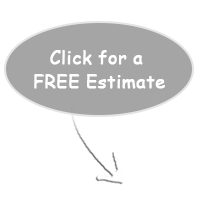 Why not call us on 201-406-2855 to discuss how best to arrange your own portable generator connection package so you can be as prepared as your friends, family and neighbors in the Hasbrouck Heights area. Do your fuses blow constantly? Do your breakers trip with great regularity? Are your lights flickering and maybe giving you a headache? Perhaps you have to turn off an appliance before you can use a different one. No, you don’t have mischievous ghosts floating around, playing tricks on you. It’s an indicator that it’s time to upgrade your power panel. Don’t even think about treating these signs as simple nuisances when the when the reverse applies in this case. Having a panel upgrade is NOT a luxury or something irrelevant to be delayed until another time (maybe next year). It’s a serious safety concern for you and your entire family. If your panel is outdated, there’s a much greater risk that you or somebody else in your home may get an electric shock and/or having a fire break out. All work involving electricity is extremely serious and that’s how we treat it. Call the experts at Ampacity Electric on 201-406-2855 to upgrade your power panel, for general power problems and to solve any other problems you may have. Better to be safe than sorry. Andrew hung our 60" TV, chandelier, and ceiling fan. Everything was completed in a timely manner. He was punctual and left everything in pristine condition. I recommended him to my brother and he had the same great experience. Would definitely use him again! 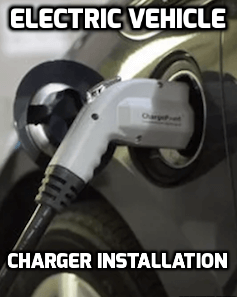 Installed a 240 NEMA 14-50 Outlet for my coming soon Tesla. Very easy to work with, very reasonable price and quality of work and attention to details was great. Will definitely hire Andrew again for other electrical needs. Copyright © 2015 Ampacity Electric, LLC. All rights reserved.